Boredom. 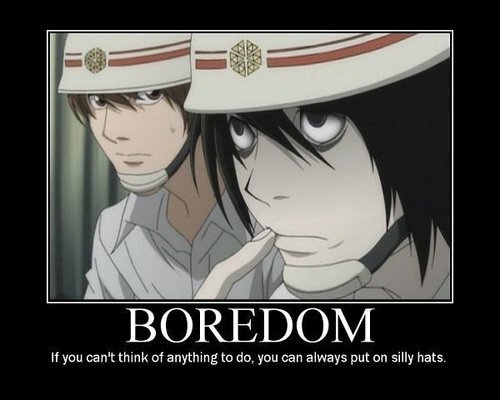 l and Light with funny hats.. Wallpaper and background images in the death note club tagged: funny light l hats. l and Light with funny hats.